Ever have I seen the last degree to the North Pole so nice than this year. A group of five of us started off on the last degree to the NorthPole the 6st of April and headed North. This with the best help from the Russian Borneo staff who make this possible for many expeditions with their logistic. 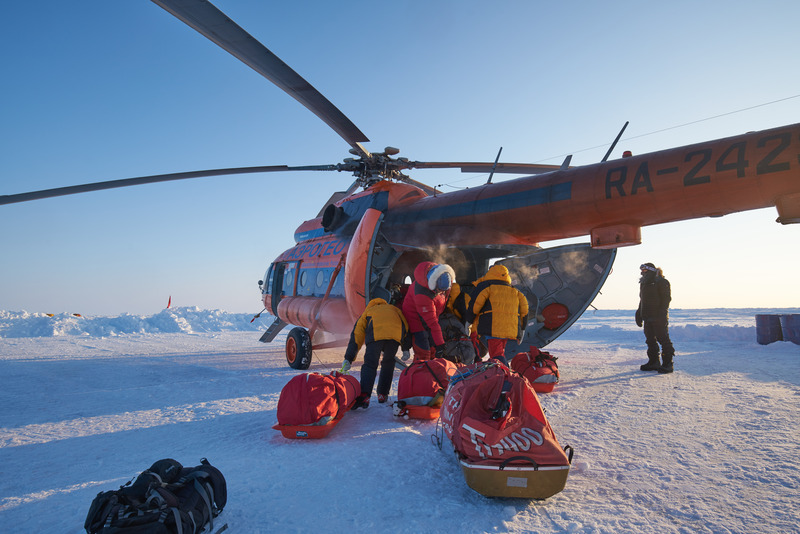 Loading the helicopter and ready to be flown to the starting point. As said, it was the nicest ice conditions I ever have experienced. Not much pressure ridges to cross. 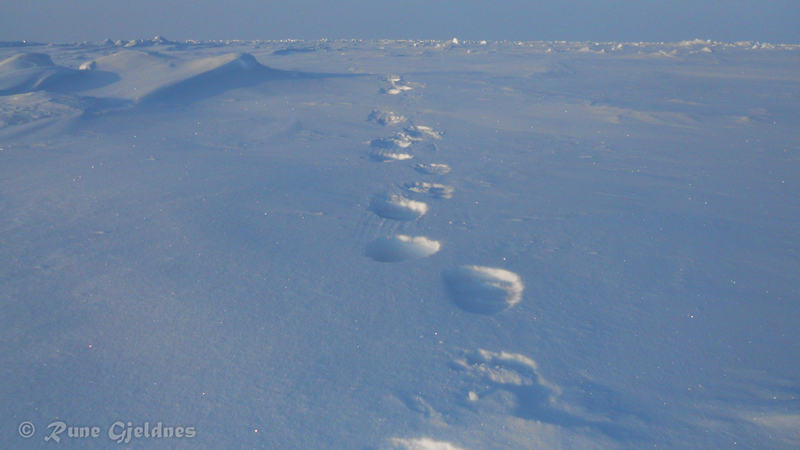 Lots of old leads to walk on and we just had to cross one small lead one hour from the North Pole. My experience is that you have much more. Was very happy to have such nice conditions and also one Nautical mile drift towards the Pole every night. But, that it was nice conditions for us, do not mean it is good conditions for the Arctic Ocean. It is defiantly thinner ice now a days than 15 years ago, but that is up to the science to tell, and they know it´s not good. Too, our big surprise we got visitors one night. Everyone was asleep. But, something told me something was wrong and woke up and out. And five meters from the tent two nice poarbears was looking at me for a second before the ran 30 meters away. It took some time to scare them away with noice and came back again once before they left north and west. I followed them for two hours until I felt they where gone. You never know when they appear! Crossing a small pressure ridge. Reached the NorthPole 1340 on day 8th and everyone was happy 🙂 It took one day until pickup from the Russian and whiting that time we had drifte five Nm out from the North Pole. David Hempleman-Adams and some few came up to meet us and we flew back to the Geographical Pole to celebrate.